Analysis: Mannion was picked in the third round of the 2015 NFL Draft and spent the last four years in a backup role. He appeared in 10 games during that time, completing 33 of 53 passes for 258 yards, zero touchdowns and an interception. The Vikings still have Kyle Sloter on the roster, so Mannion will enter a competition to become Kirk Cousins' backup in 2019. 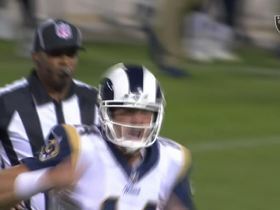 Analysis: Mannion served as Jared Goff's backup in 2018 and has been with the Rams all four years of his career. He's been a career backup to date and appears set to serve as an understudy again in 2019. The Vikings only have Kyle Sloter under contract behind starter Kirk Cousins and could bring Mannion in to compete for the No. 2 quarterback role. Analysis: Mannion appeared in three games with the Rams last season as Jared Goff's backup and attempted only three passes. 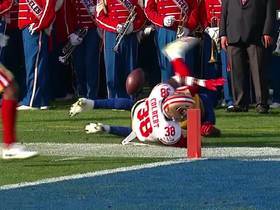 The 26-year-old won't return to his old job in Los Angeles after the team signed Blake Bortles on Monday. 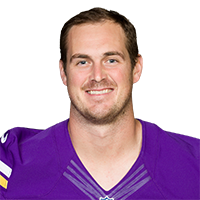 The Vikings have Kirk Cousins and Kyle Sloter under contract for 2019, they but appear to be looking for a more veteran backup option than Sloter. Analysis: The backup will become a free agent this spring after spending the past four years with the Rams. Mannion was a third-round selection in 2015, but then Los Angeles took Jared Goff with the first overall pick the following year, and Mannion made his only career start in a meaningless Week 17 game last season. With Goff proving to be a franchise cornerstone, any chance of Mannion becoming a fantasy-relevant quarterback probably won't come with the Rams. 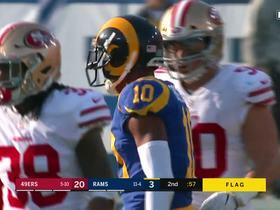 Analysis: With the Rams resting the majority of their regulars on offense, and San Francisco rolling along a four-game winning streak, this was a tough spot for the 25-year-old Quarterback. Additionally, considering it was also Mannion's first career start, the audition should probably be viewed as a mediocre showing. Still, with Jared Goff taking a significant step forward and showing tremendous promise this year, Mannion's fantasy outlook remains bleak heading into the 2018 season. Mannion will start Sunday's game against the 49ers, Cam Inman of The San Jose Mercury News reports. Analysis: Rams head coach Sean McVay confirmed Wednesday that he'll rest Jared Goff, but it'll be tough for Mannion to find success while RB Todd Gurley, LT Andrew Whitworth and C John Sullivan are also held out of the lineup. Further adding to the challenge, McVay probably won't allow Robert Woods, Sammy Watkins and Cooper Kupp (knee) to handle full workloads, assuming they play at all. While it's still a nice audition for the future, Mannion can't be counted on for much this week. Mannion could start at quarterback Week 17 against the 49ers with Rams head coach Sean McVay suggesting Tuesday that Jared Goff and several other key starters could be held out of the regular-season finale for rest, Alden Gonzalez of ESPN.com reports. "Every single game is important," McVay said. "But I think [Week 17] will provide an opportunity for us to potentially get some guys healthier, rest them, give some other guys a chance to step up. How that affects the guys that are healthy that we want to be smart with is going to be determined as the week progresses. But it is one of those deals where I think you might see us rest some guys." 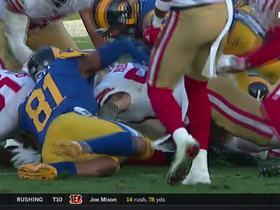 The San Francisco 49ers force Los Angles Rams tight end Gerald Everett to fumble, the 49ers recover. 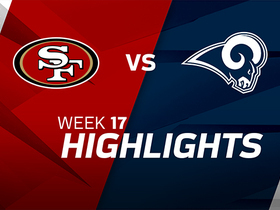 Watch highlights of the Los Angeles Rams from the 2017 preseason. 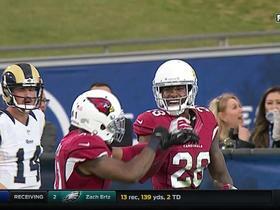 Arizona Cardinals cornerback Justin Bethel intercepts Los Angeles Rams quarterback Sean Mannion's pass and returns it 68 yards for a touchdown.